Procedures 1.Chair pushed under the desk. 2.Stand up, arms along the body, NOT IN YOUR POCKETS. 3.Face the flag (on the board). 4.You sit only when the. 1 Procedures 1.Chair pushed under the desk. 2.Stand up, arms along the body, NOT IN YOUR POCKETS. 3.Face the flag (on the board). 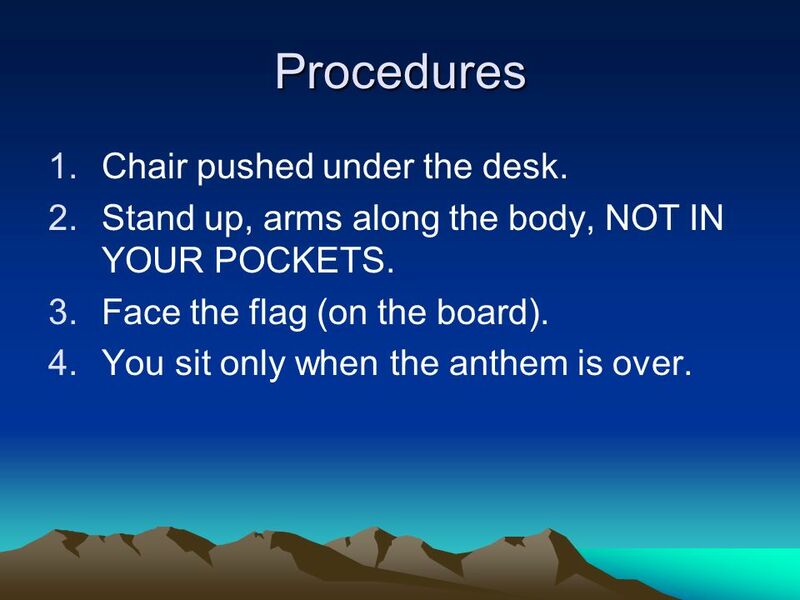 4.You sit only when the anthem is over. 2 O CANADA O Canada! Our home and native land True patriot love in all thy sons command. With glowing hearts we see thee rise The true north, strong and free From far and wide, O Canada We stand on guard for thee. 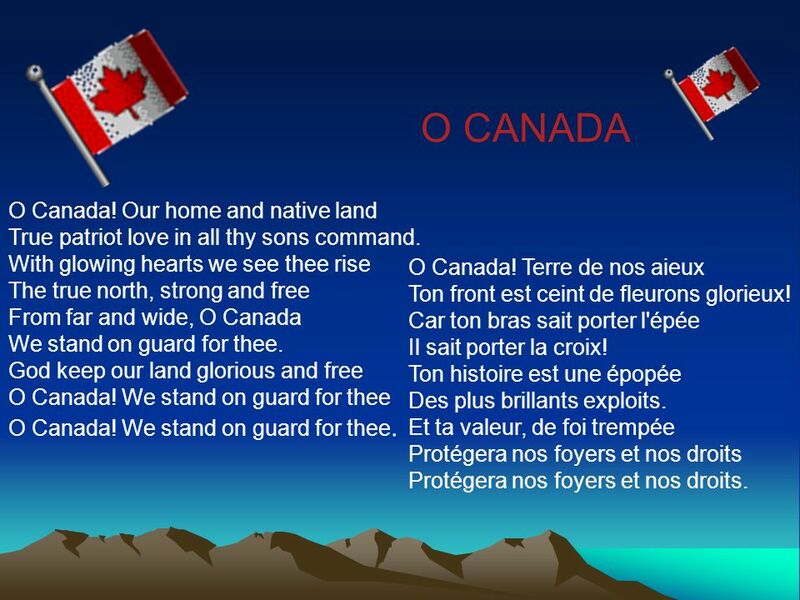 God keep our land glorious and free O Canada! We stand on guard for thee O Canada! We stand on guard for thee. O Canada! Terre de nos aieux Ton front est ceint de fleurons glorieux! Car ton bras sait porter l'épée Il sait porter la croix! Ton histoire est une épopée Des plus brillants exploits. Et ta valeur, de foi trempée Protégera nos foyers et nos droits Protégera nos foyers et nos droits. 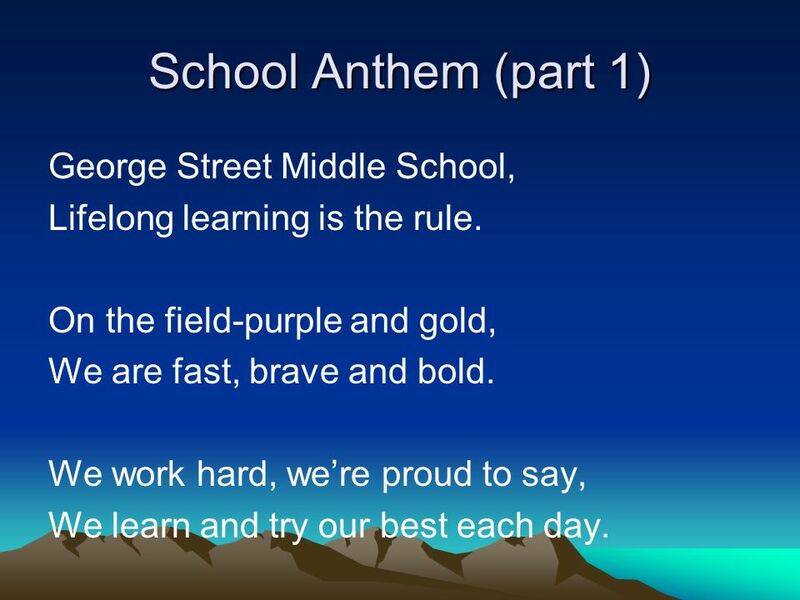 4 School Anthem (part 1) George Street Middle School, Lifelong learning is the rule. On the field-purple and gold, We are fast, brave and bold. We work hard, were proud to say, We learn and try our best each day. 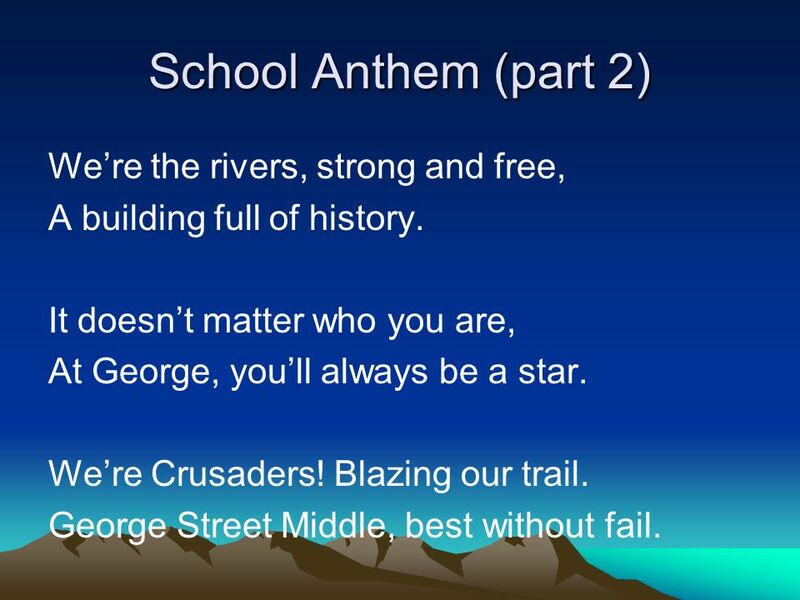 5 School Anthem (part 2) Were the rivers, strong and free, A building full of history. It doesnt matter who you are, At George, youll always be a star. Were Crusaders! Blazing our trail. George Street Middle, best without fail. Télécharger ppt "Procedures 1.Chair pushed under the desk. 2.Stand up, arms along the body, NOT IN YOUR POCKETS. 3.Face the flag (on the board). 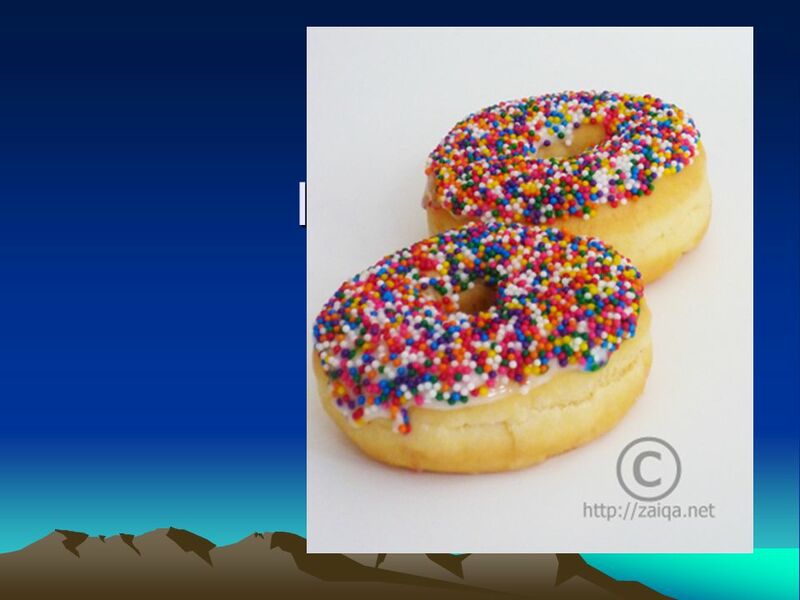 4.You sit only when the." PPS: TSL – December 2009 Le premier pas Jaimerais quelle fasse le premier pas Je sais cela ne se fait pas Pourtant jaimerais Que ce soit elle qui vienne. In ea Gu By: Sabrina Shaw. QUELLE HEURE EST-IL? (What time is it?) Pages 56-59 Nicole Fecteau, Timothy Edwards Middle School, December 2015.